The EA's algorithm determines the stop / reversal trend levels by calculating the absolute difference between the wave segments in the last 48 trading hours. The RSI indicator plays a supporting role when deciding to open a trade. Signal advisor in real time HERE. 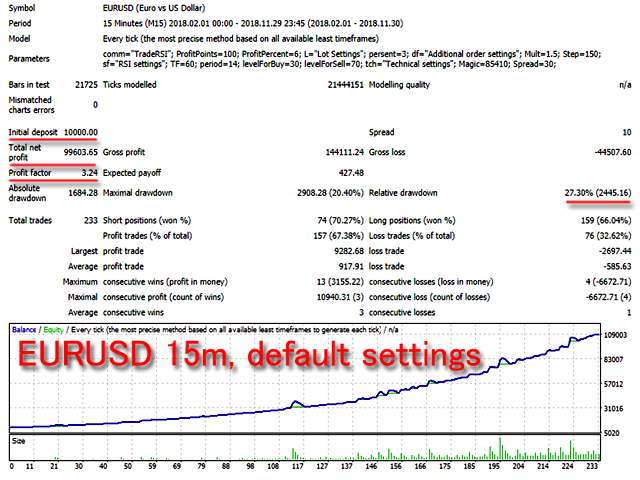 Recommended: EURUSD 15m for default settings, VPS server. Max spread - The maximum spread.